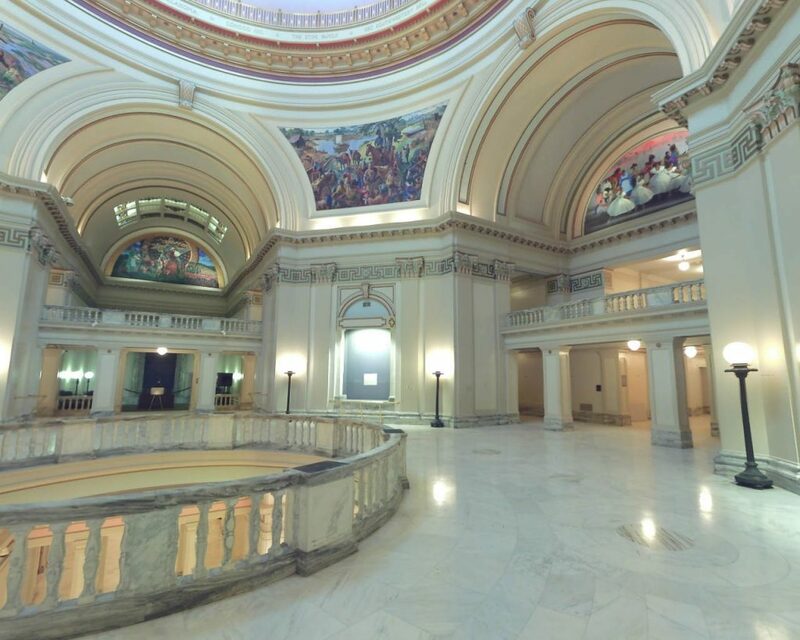 Oklahoma’s State Capitol is undergoing a complete overhaul. The work began last year and expected to last 6 years with a budget of over $100 million dollars. 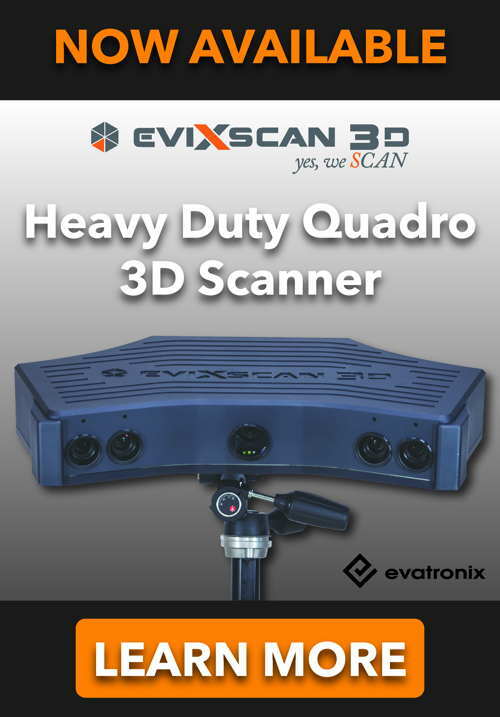 Arrival 3D was selected to perform 3D scanning of the interior for use in BIM modeling software such as Autodesk Revit. We spent over two weeks and scanned mainly the attic and the basement, but also did some scans in the main hallways. This project required scanning, registering and aligning the entire building according to the customer’s specifications. 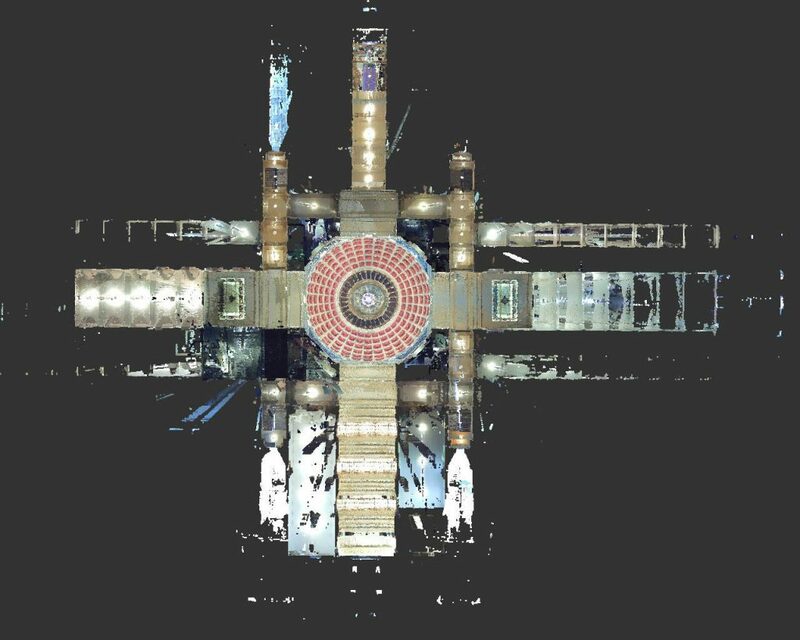 It was challenging to plan because all the scans needed to be connected by a strong registration point and also tied with State surveying coordinates. 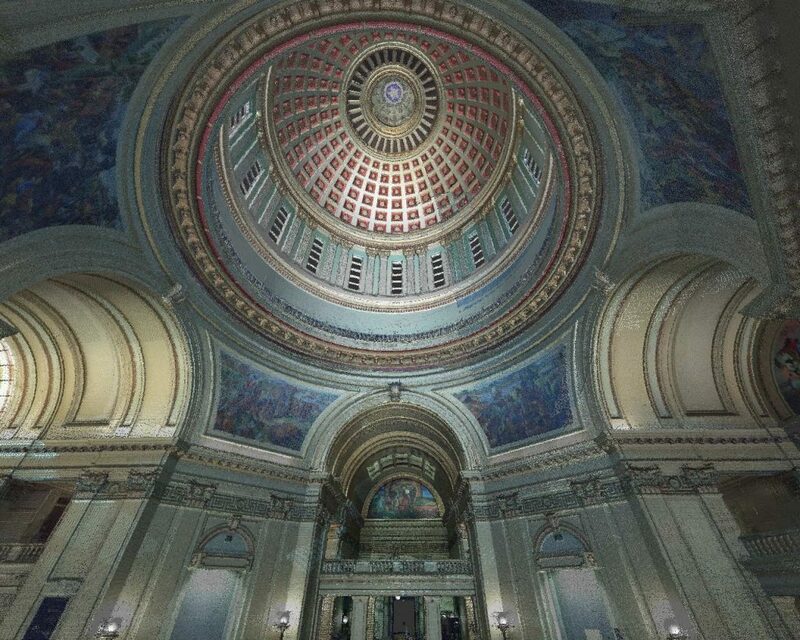 The building is stunning with its beauty inside, as captured by our 3D laser scanner’s color camera. The renovation is to be performed in a way that preserves the exact appearance of the original construction, but with new materials and modern infrastructure. 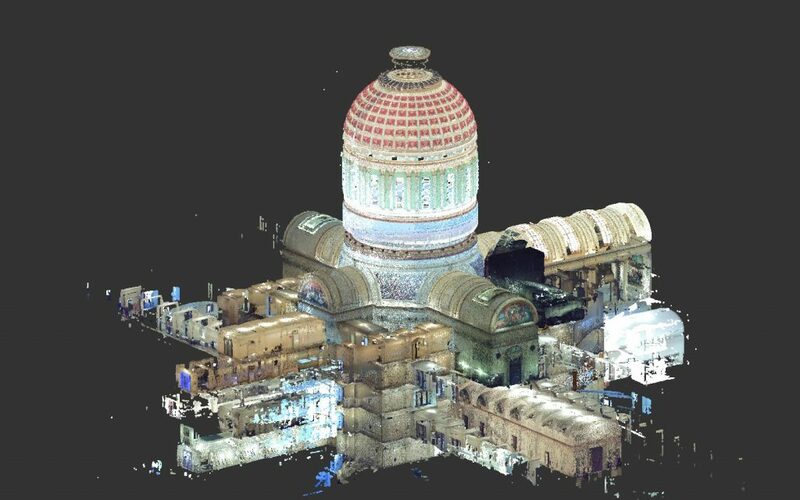 Here are a few pictures from our 3d color point cloud for you to enjoy.